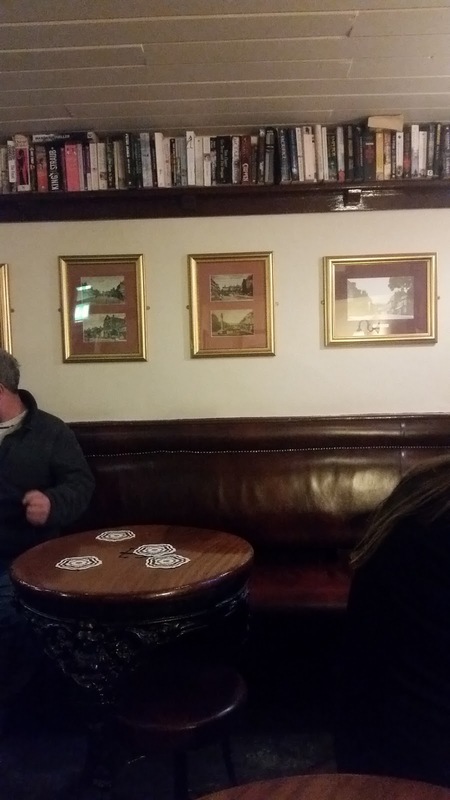 Pub reviews from around the north of England, including some of the best pubs in Yorkshire, Cumbria, and Lancashire. I have not visit Darlington in county Durham for nearly 50 years. I did though, recently spend a day there and decided to find some nice beer. After some brief research we plumped for Number Twenty 2 on Coniscliffe Road which is just west of the town centre and about a 10 minute walk from the railway station. 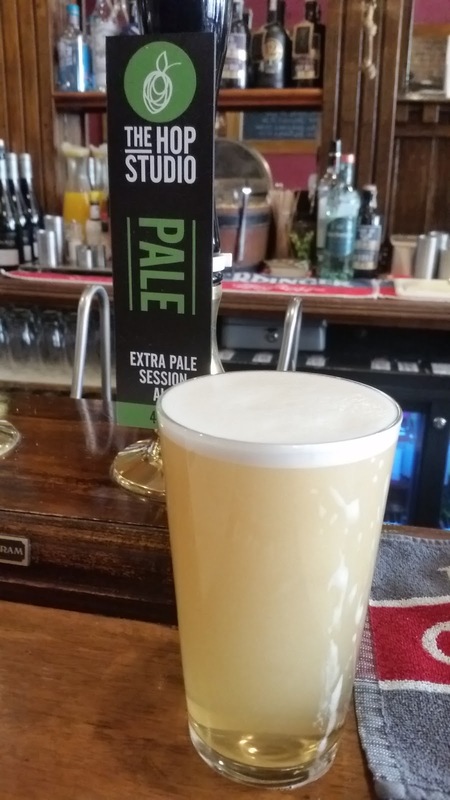 With such a wide choice I played safe and went with a brewery that I knew 7 started with a pint of Pale from the Hop Studio at Elvington near York. Alan also went with a pale beer, White Boar Bitter from the Village Brewer, which is the name of the brewery attached to the pub. A full range of their beers was available on the bar plus several guest ales from around the region. 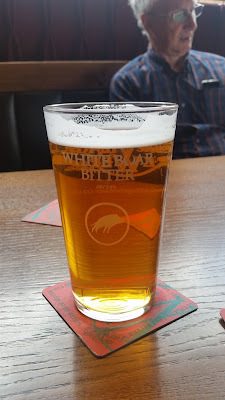 White Boar was originally brewed at Hambleton until the brewery in Darlington was established. 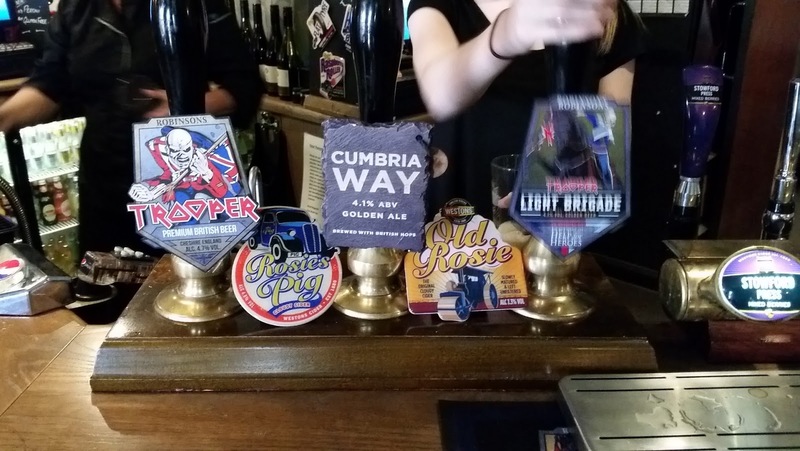 As well as the range of cask ales there was also a range of other beverages, enough to satisfy most palates! The food on offer is pretty standard pub fayre. 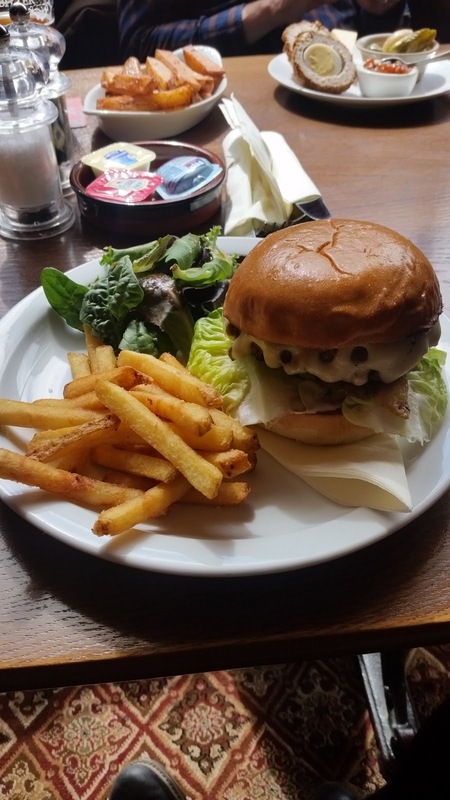 I had a burger which came with chips and leaves! 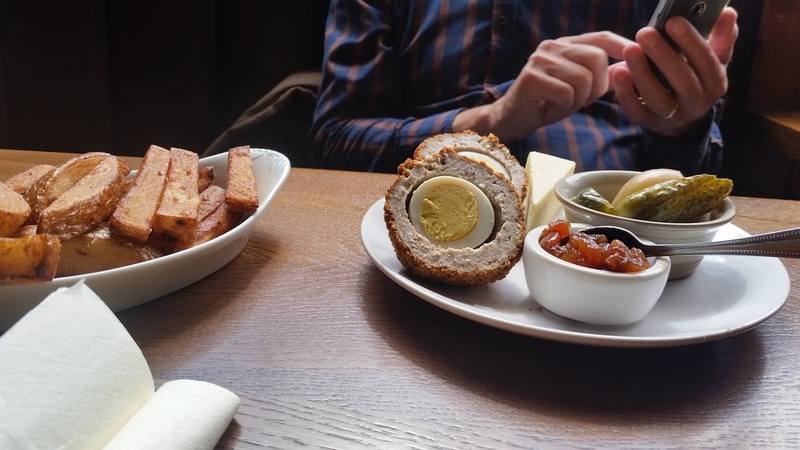 Alan opted for the mini - ploughmans witha side order of chips ( there were three types of chips available!) The food was not great value in my opinion - £9 for the burger and £7 for the ploughmans +chips. My second drink was a pint of Old Sailor IPA from Scarborough Brewery which at 5.9% was quite a hefty beer. It also tasted very nice. Looking back up the bar from the kitchen one could imagine that the pub was quite old. However it only got a licence to sell alcohol in 1995 and then they were not allowed to sell spirits until 2005. 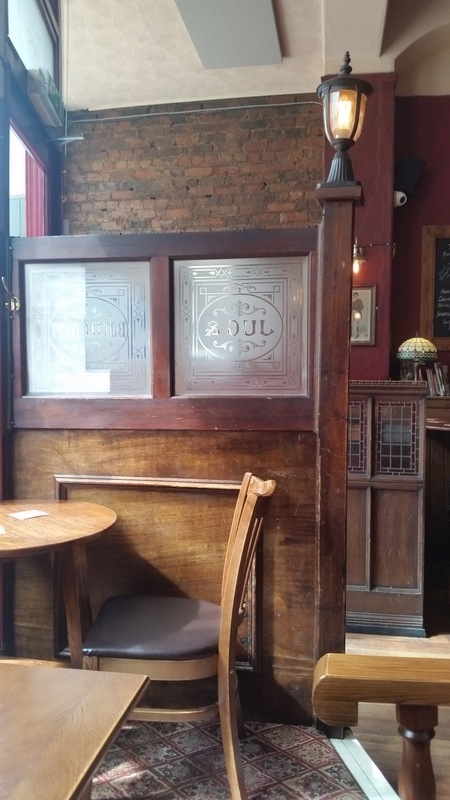 The pub has won lots of awards since it opened. 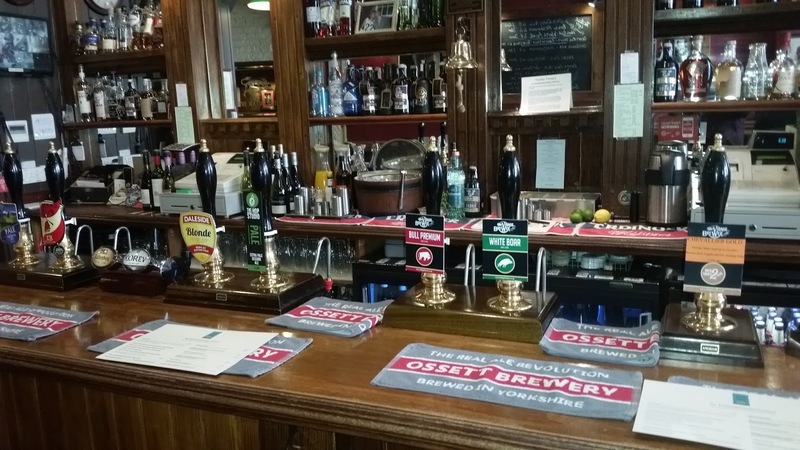 It has a fabulous range of beers, many being brewed on the premises. It is well worth a visit if you are in Darlington. 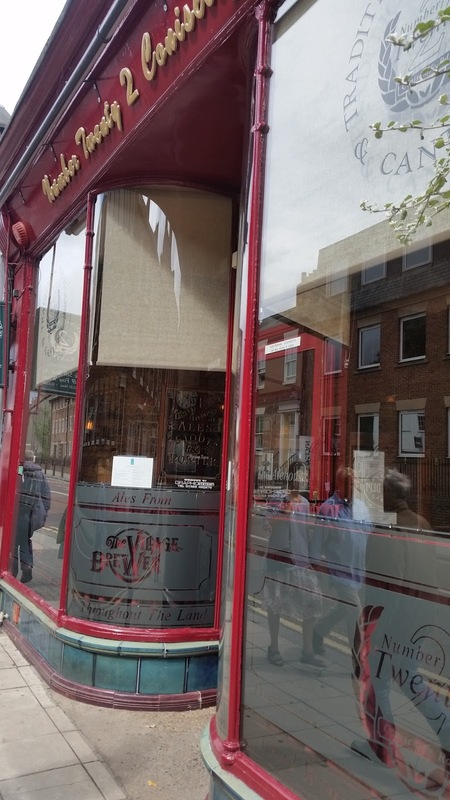 I am also looking forward to visiting its sister pub, Blind Jacks in Knaresborough. The Boot Inn, Eskdale, Cumbria. The people of Cumbria are blessed with some of the finest scenery in Britain. They also have some of the best breweries. 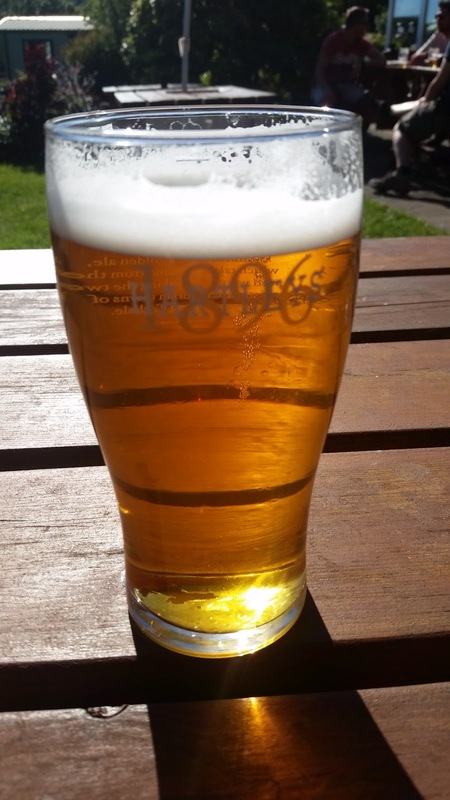 The village of Boot in Eskdale has three cracking pubs, the best of which is the Boot Inn! The village sits at the end of the Ravenglass and Eskdale Railway and it is just 400 yards walk up to the Boot Inn. Just by coincidence my most recent visit was close to the 50th anniversary of my first when I was a 14 year old boyscout. 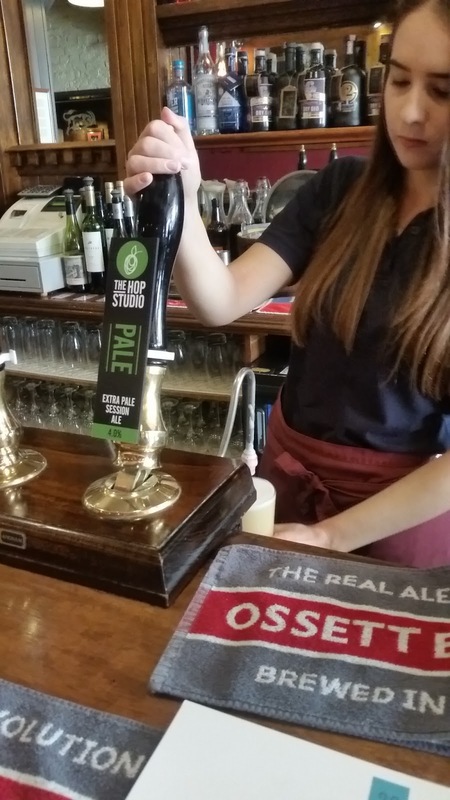 The pub is a tied house belonging to Robinsons of Stockport who are now marketing themselves as a Cheshire family brewery. 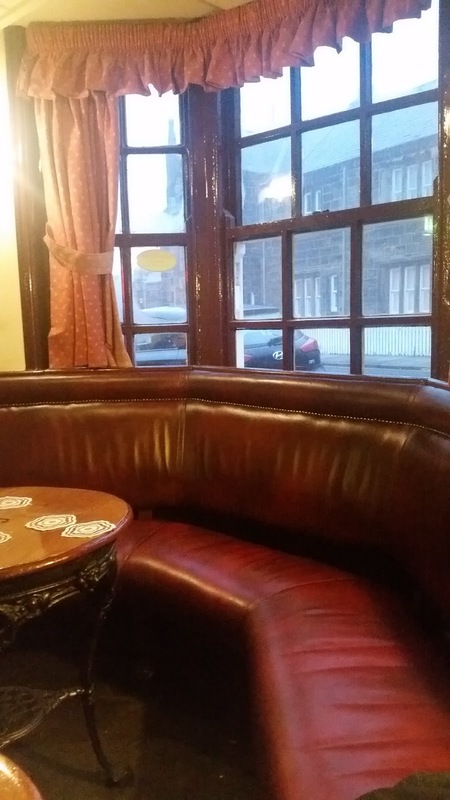 The pub was built in the sixteenth century and was formerley known as the Burnmoor Inn. 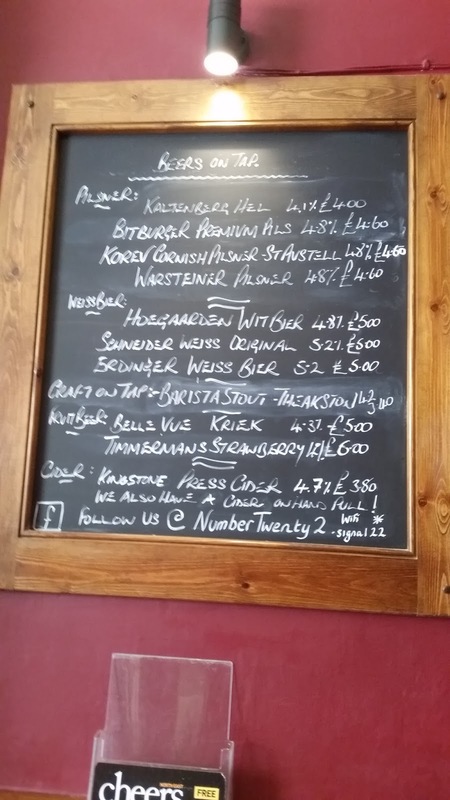 First impression when you walk into the bar is that there is a good choice of beers on the wickets. I was to sample most of them over my 3 day stay but I started with a pint of Hoppy Wan Kenobe which was much appreciated as it was a very hot day. The food on offer was excellent pub food priced for the wealthy hikers. 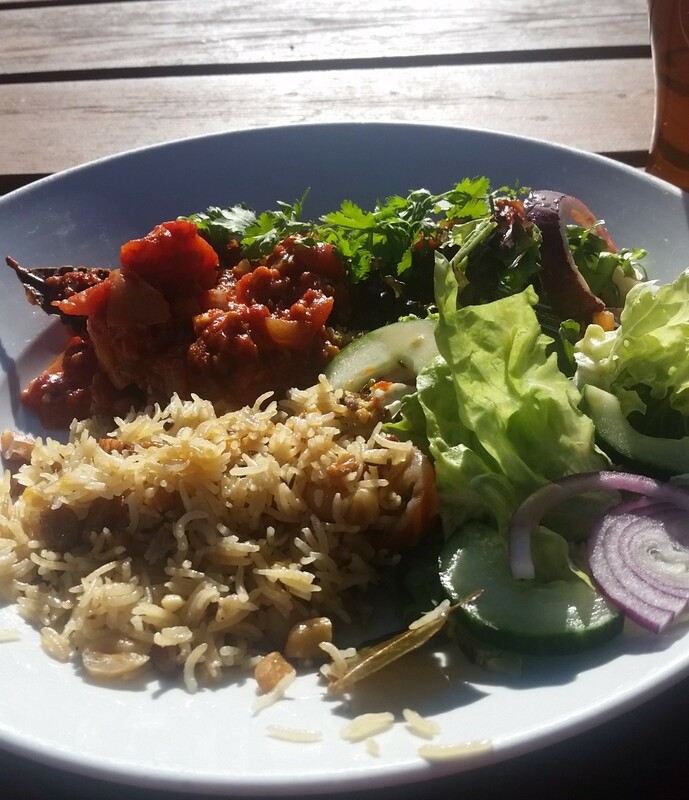 There were two good veggie options, the falafel with pilaf (above) was £10.95. I had a voucher for a 10% discount which made it £9.85! I tried the Cumberland sausage with cabbage and mash on my second visit. Eskdale is a lovely part of the Lake District with the high fells only 10 miles from the coast. Eskdale Mill, in Boot, just behind the pub, has a working waterwheel. There are many good pubs in the valley but it is just possible that the Boot Inn is the best of all. The Anchor Inn, Guisborough, North Yorks. The market town of Guisborough lies nestled under the northern escarpment of the North Yorkshire Moors. We found a very good reason to tarry a while when we happened upon a delightful pub in Belmangate just outside the town centre. Belmangate leads directly up onto the moors and the Cleveland Way so the Anchor is well placed to serve thirsty hikers like us. However it is easy to miss as it is in a terrace of cottages with just the pub sign hinting at the delights inside. 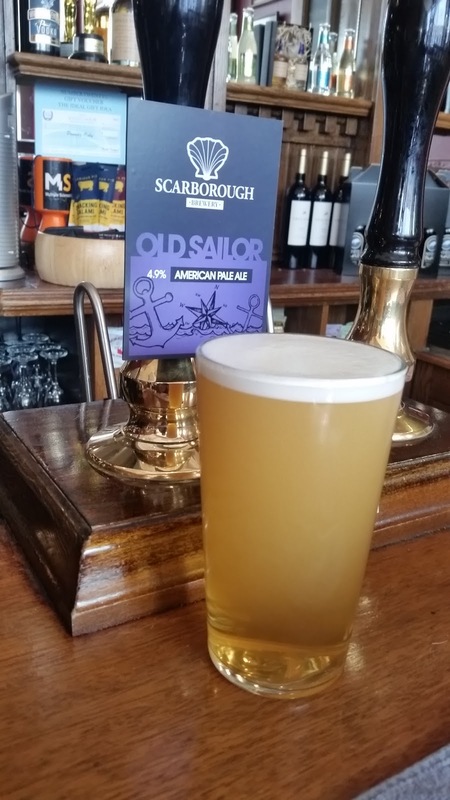 The Anchor is a Sam Smiths tied pub which means that the normal protocols of drinking do not apply. 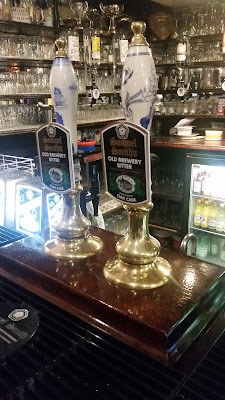 If you want draught ale then it is Old Brewery bitter. No guest beers are served. If you want lager then it is Sam Smiths lager that you get. 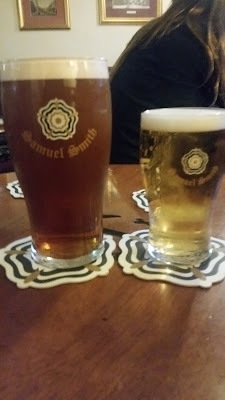 The upside of Sam Smiths pubs is the price. 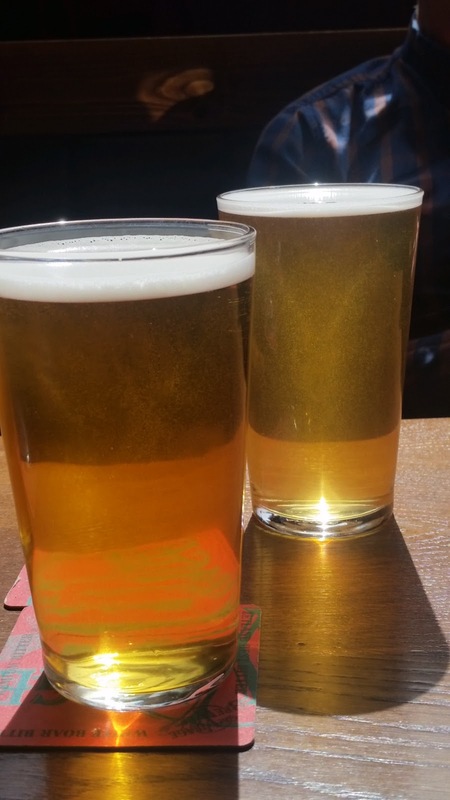 Bitter is £2 a pint, lager is £2.30. 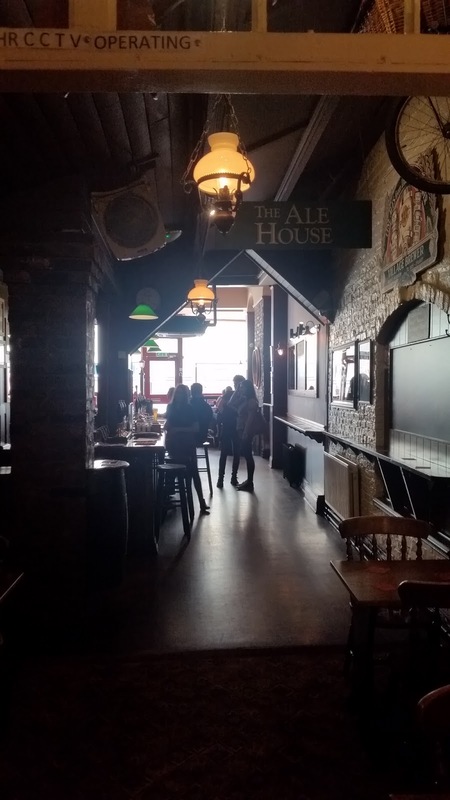 The result is that the pub is always busy. 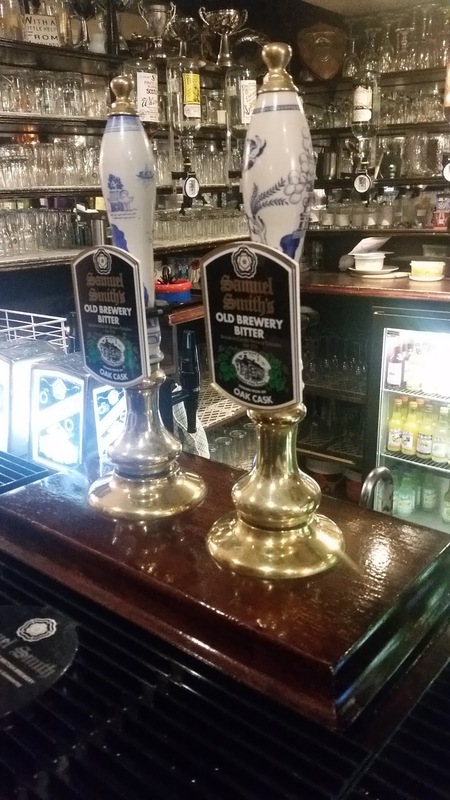 The landlord is also very friendly and welcoming which must contribute to the popularity of the Anchor. The rooms are tiny with traditional seating round the walls and shelves packed with books. As with any good local pub we were soon engaged in conversation by the regulars including a retired steeplejack who claimed to be 81 but who looked as fit as a fiddle. 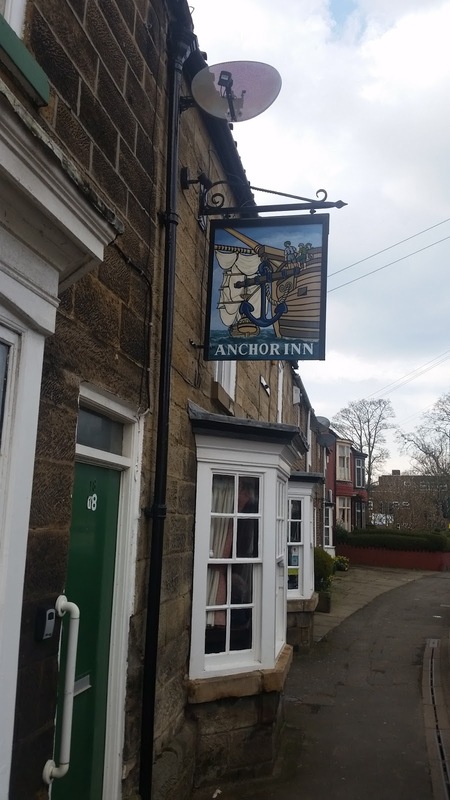 Anyone who is visiting Guisborough should seek out the Anchor Inn where they will find a warm welcome and cheap, well kept beer. The perfect combination.